Baseload: Exploring the myths behind Australia's baseload power demand. Many of these reports have a sense of urgency, even panic. They suggest that without baseload power Australia is going to grind to a halt; that the loss of coal-fired power stations to renewable energy sources like solar, wind and hydro will damage electricity reliability and security. Coal-fired power stations used to run on a ‘baseload’ model of continuous operation. But what exactly is ‘baseload’ power? Is it true that Australia needs to keep coal-fired power stations open to maintain it? Do we need it to keep the lights on? Let’s take a look at this contentious issue, and draw on the knowledge of two of Australia’s energy experts. Firstly, it’s important to know that baseload power is the result of the way the electricity market used to work when coal-fired power stations were its mainstay and cheapest option. ‘Baseload’ did/does not refer to the maximum or even the average output of these power stations, but the minimum they could produce without having to be switched off. If they were cars, ‘baseload’ would be the idle speed, such as when you’re waiting at a traffic light. Professor Anthony Vassallo holds the Delta Electricity Chair in Sustainable Energy Development at the University of Sydney. He says baseload is that small part of energy generation originally designed to be running continuously. “When the electricity gird expansion took place from the fifties to the seventies, the big option in Australia was coal-fired power stations which are designed not to be turned off,” he explains. If these baseload generators did reach full capacity then electricity grid operators brought in extra electricity generation from gas or hydro, or some other source that was more expensive. The problem was that there usually wasn’t enough load for these huge baseload generators at night, and no generating company wanted to turn them off because it cost too much money and energy to get them running again. “The baseload, that is the lowest load on the generators, is met at 4 a.m.,” Vassallo continues. “At that time of the day the idea is that the cheap fuel generators, the coal-fired generators, would be ticking over, just meting that minimum demand. Vassallo says today’s electricity generation technology is so flexible it doesn’t need a ‘baseload’. There is no need to keep huge coal-fired stations ticking over 24/7. The fact is that on one point, the renewable sceptics are right. 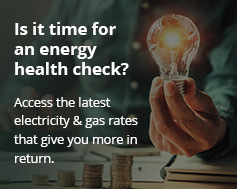 Energy Minister Josh Frydenberg commented recently that if Australia’s coal-fired and gas stations turned off overnight the electricity grid would fail. This is true – but it’s not what supporters of renewable energy are saying. Renewable energy supporters say that because ‘baseload’ means nothing more than the minimum amount of energy needed to keep the electricity grid ticking over, it does not – in future – need to come from coal. And no one is suggesting coal-fired stations stop producing “overnight”. On a level playing field, solar wins over coal every time. CSIRO Energy Director Dr Glenn Platt agrees that baseload has a traditional definition, but that in the modern electricity system “it’s something of an anachronism”. The technical challenge is how to make sure that intermittent generators like solar and wind can supply the minimum energy required in the absence of coal-fired generators. Platt says traditional retailers and network operators will have to change their business model to accommodate an energy grid that contains a mix of solar, wind, hydro, gas and, in the short-term, coal. Meanwhile, Platt says coal is no longer the cheapest form of electricity generation. “Renewable energy no longer relies on green policies or incentives. The economics are black and white and that’s why we’re seeing so much growth. Business is putting its money into where it can make the most money. “But that message isn’t as widespread as it could be. So some people think renewables are happening because the greenies are influencing things, whereas it’s actually happening because of hard-nosed business decisions. The other lack of information is around what we need to have a reliable electricity system. The CSIRO is investigating how that new system could operate. Engineers and scientists are working on how to forecast the output of a large solar farm, for example, because the good thing about coal-fired electricity generation is its predictability. To operate an electricity system with large amounts of renewable energy you need ways to store it so that when the wind dies or the sun sets, the energy is still available from a battery or hydro storage system. “We need to store energy and we can do that in large batteries that participate in energy markets, or we can store energy in tens of thousands of small batteries in people’s homes. They can participate in the same market,” Platt says. This means there is room for large batteries like the Tesla battery in South Australia to contribute to the electricity grid when need. But equally, solar batteries like the Tesla Powerwall 2 in people’s homes could play a part. By connecting tens of thousands of residential batteries through a smart network, an energy retailer or distributor could use them as one large power source. Baseload power, then, is not something that only coal can supply, Indeed, it’s not really something coal should supply, given its impact on the environment and the cost of building new power stations. In the future, ‘baseload’ will no longer be synonymous with coal. It will be a term people use to describe any sort of reliable power that meets our minimum needs.